Financial services are major users of Hadoop.Major use cases of Hadoop is risk modeling, solve the questions and evaluate the customers in banking. In these days Hadoop cluster is used to banking for create risk analysis for people details and having separate data warehouse for quick and easy access to data. Risk analysis mainly used to manages a financial security. Before 2008, every branch of the bank used same data warehousing for storing data, credit card transactions, check the data and everything so banking system are failed to provide customer details. After 2008, many banks are used one Hadoop cluster that contains pera bytes of data from many databases like credit card transaction, customer details etc.. When customer details are stored in different databases improve customer satisfaction. 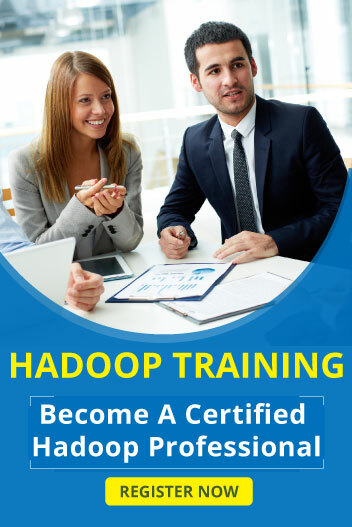 Main Purposes of Hadoop in Financial sectors is fraud detection and analyze market credits. Hadoop are generated patient records and maintains the requirements of patient and Hadoop reduces data warehousing expenses also. In healthcare, patient details are generated by electronic health devices so difficult to analyze the data from the traditional database so Hadoop is most important in the healthcare sector. Using Hadoop in healthcare very easy to analyze the data, maintains the patient data and fraud detection. Hadoop database stores a large amount of data at a second so they solve a complex problem like logging more data and querying data analytics. The main objective of Hadoop using in the healthcare sector is store and analyze the medical data and evaluating the medical trends with million peoples. In Hadoop database, healthcare sector creates treatment options for every patient as per needs. Described above are the Topmost use cases of Hadoop.